Start-Rite Day Secondary held her first Market Fair on the 29th of January 2019. 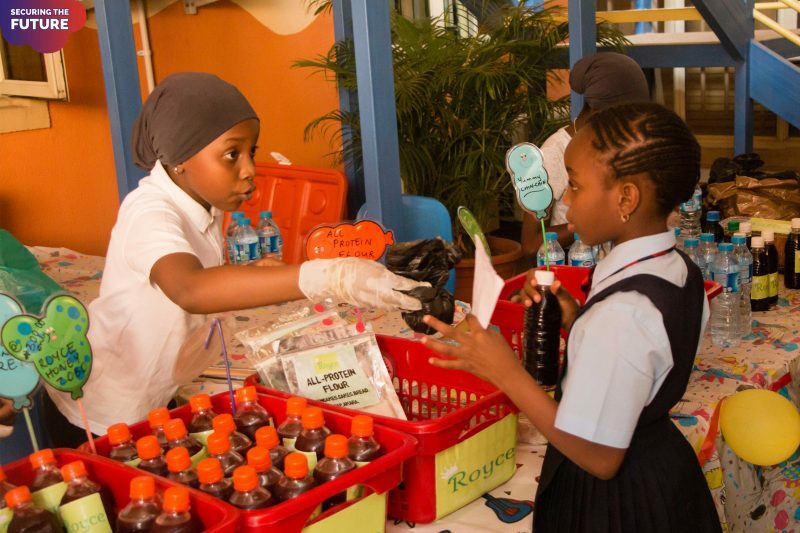 All students participated in this valuable learning experience by turning to entrepreneurs; either producing food items or buying and re-branding items to sell. Start-Rite Day Secondary believes that teaching students about business at a young age is important for the future of business in Nigeria as well as globally. When students are taught the specific lessons of money management and organisational skills, they not only apply their skills towards building a business for themselves but also apply the skills they have learned to their personal lives. To this end, using this interactive learning experience, the students were required to produce a business plan with a budget to seek investors using their business plans. They all participated in the process of buying and selling as well as calculating capital, profit, and loss to learn the practical aspects of Business Studies. Advertising is also a major highlight of this teaching experience as the students had to advertise their goods prior to the fair to the pupils and parents of the primary school. The school used a voucher system for undertaking the transactions. Students were required to demonstrate knowledge of their overheads; the cost of production and profit margins in order to arrive at a selling price. They were scored on product knowledge, marketing and sales strategies, and customer service including customer satisfaction. The Primary Pupils were not left out and were given the opportunity to explore the practical aspects of financial literacy appropriate to their ages. The pupils became customers demonstrating just how money-smart they are when spending their ‘Start-Rite Money’. The pupils followed through the process of budgeting, negotiating, paying and money management helping them to apply what they had learnt in the classroom. A total amount of 277,000 Naira was realised from the sales of all the items. As part of their Corporate Social Responsibility, ten percent will be donated to charity during Start-Rite Schools Charity Week.